Phuket has a variety of beaches and Phuket town is rich with architectural of Classic Chino-Portuguese homes where Gotum Hostel is located in. 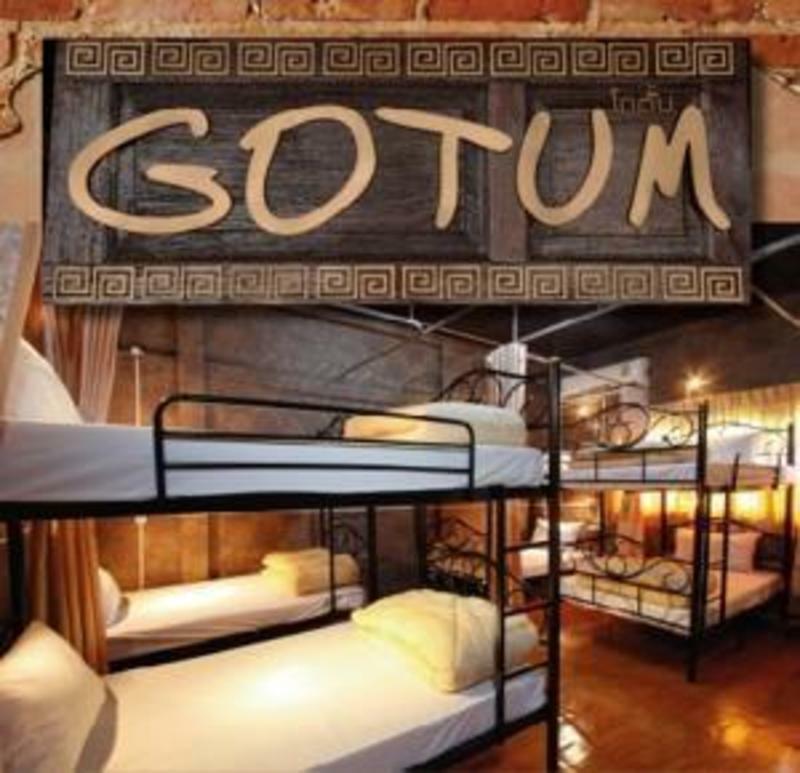 Gotum Hostel offers non-smoking dormitory rooms with air-conditioning. The hostel has Standard 10 bed mixed dorm and Standard 8 bed mixed dorm. All rooms are equipped with air-conditioning. Price is based on 1 bed basis & per persons. All guests share common showers & toilet facilities as dormitory does not have en-suites. Towels, shower gel and shampoo are provided. Free WIFI is available. Children below 12 yrs old are not allowed. The on-site restaurant serves a variety of Thai and international cuisines. For convenience, the hostel offers airport shuttle services at an additional cost. Additional services include fax/photocopying and luggage storage. There are about 2 mins walk to GOTUM from traffic light junction of Talang rd. and Yaowarat rd. When you come out from bus terminal go straight to old town by phang-nga rd. turn left on traffic light junction to phuket rd. go straight and turn right at Rassada rd. go straight and turn right at traffic circle and go stright on Yaowarat rd. about 90 meters you will see GOTUM at the right hand near muangthong watch shop and ENA shop.